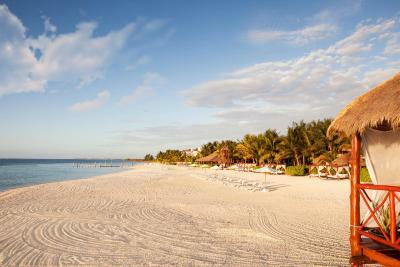 Lock in a great price for El Dorado Maroma, Gourmet All Inclusive by Karisma – rated 8.9 by recent guests! 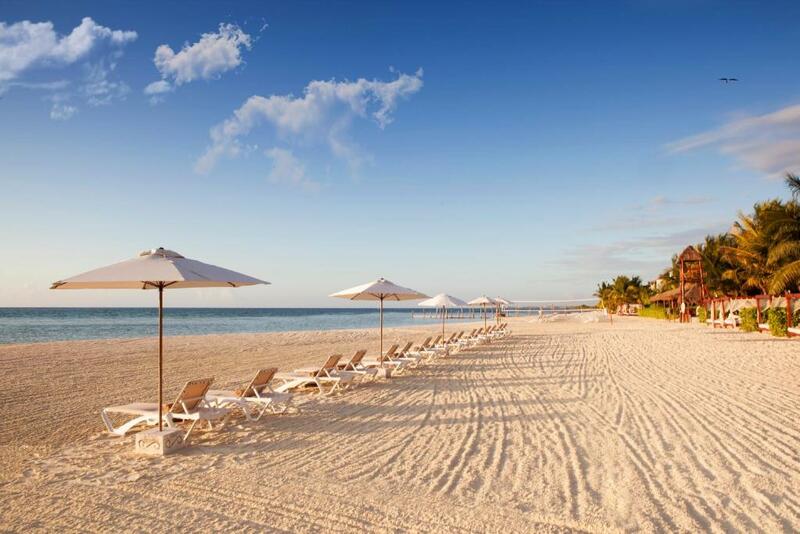 In Maroma Beach featuring the renowned Gourmet Inclusive Experience by Karisma, El Dorado Maroma is a resort with 2 beachfront locations plus a beachfront wedding chapel. 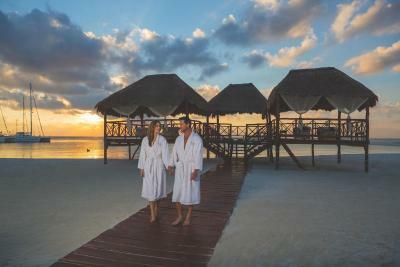 The full-service spa offers massages, facials, special body treatments and a beauty salon. 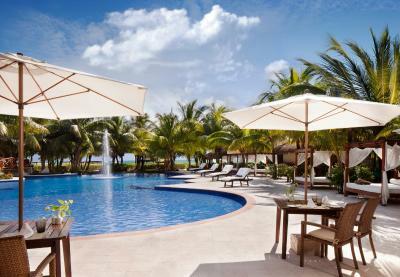 An infinity pool is also available. 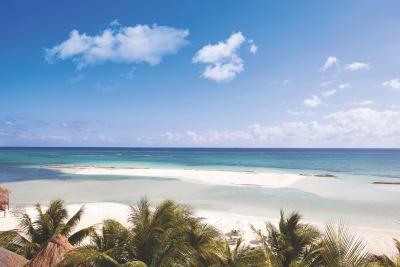 The suites and rooms feature views of the lush tropical gardens, and are decorated with a contemporary Caribbean style. All feature air conditioning, ceiling fans, satellite TV with a DVD and CD player, a minibar stock with beer, soft drinks, water and juices and a coffee maker. The spacious terrace has an outdoor bed. The bathrooms have vanity mirrors, hairdryer, and a shower. 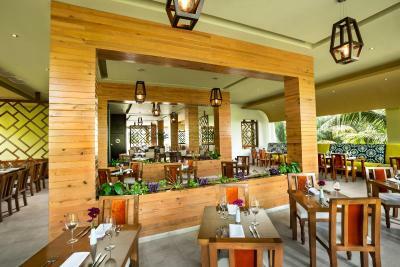 The Gourmet Inclusive Experience offers different restaurants serving a fusion of Mexican and Caribbean cuisine, typical Asian dishes at Kiyoko, Italian cuisine, and a gourmet restaurant presenting an open-kitchen concept with burgers, tacos, fish, brochettes, BBQ and typical Spanish paella. 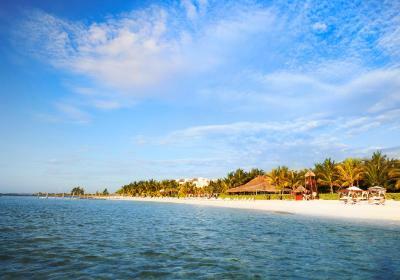 There are several swim-up bars, a classic lounge bar and 24-hour room service. 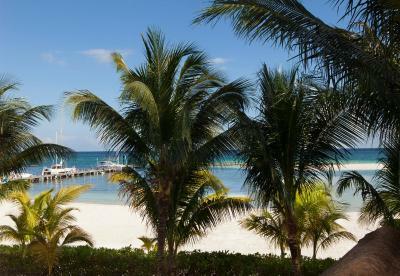 Other services at El Dorado Maroma include scuba diving trips, motorized water sports, a shisha bar, a wine cellar with international selection, and 24-hour medical service. 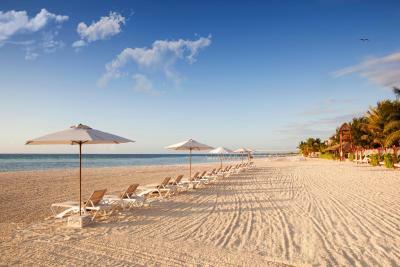 Cancun International Airport is a 60-minute drive away. 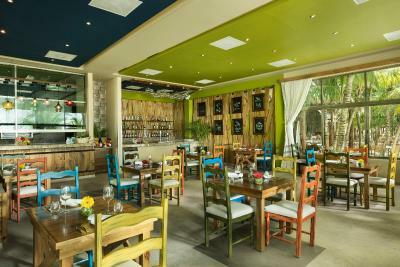 When would you like to stay at El Dorado Maroma, Gourmet All Inclusive by Karisma? 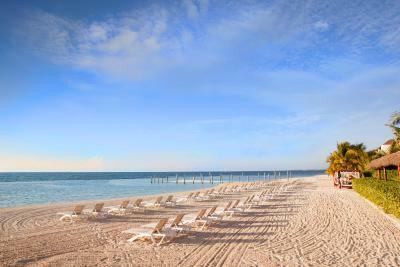 This suite offers a balcony or terrace, just steps away from a the swimming pool and the sands of Maroma Beach. 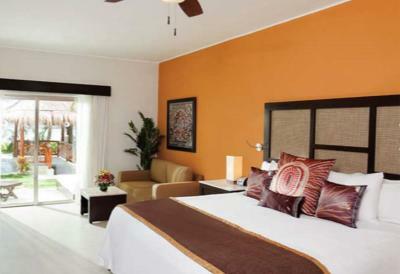 This luxurious suite features a private terrace with a double bed perfect for enjoying the Caribbean view. 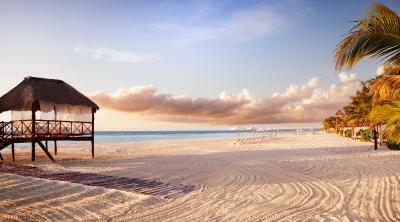 It also has in-suite hot tub for two, a living area and the exclusive “Aguas del Amor” outdoor shower. This suite offers a private poo, outdoor shower “Aguas del Amor”, in-door hot tub for two, iPod dock, and comfortably decorated plush seating area that includes a pull out bed. This suite features a terrace that connects to the main pool with a unique swim up bar. It also has a hot tub for two, a living area that includes a pull out bed and iPod dock. 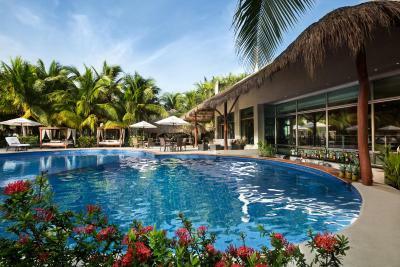 This suites in a blend of contemporary and authentic Mexican style feature a balcony or terrace, hot tub, a marble top bathroom with double sinks, private toilette cabin and spacious wardrobe. 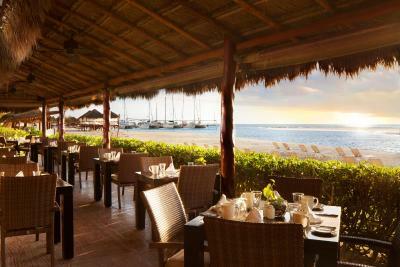 House Rules El Dorado Maroma, Gourmet All Inclusive by Karisma takes special requests – add in the next step! 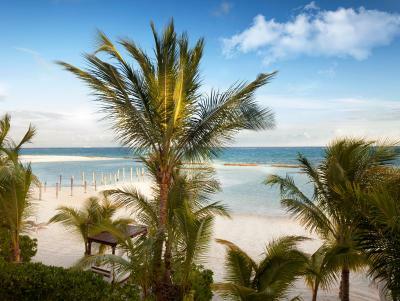 El Dorado Maroma, Gourmet All Inclusive by Karisma accepts these cards and reserves the right to temporarily hold an amount prior to arrival. Everything felt manufactured- a fully suited up employee randomly playing saxophone on the beach, a fake island. Food and drinks were mediocre - there wasn’t even fresh fruit juice to mix cocktails with- it was only stuff out of the box. Additionally I wasn’t allowed to go into a restaurant (next to the sand and sitting outside) with a bikini top and shorts. Lastly, booking.com sold us a room with a hot tub with was actually just a jacuzzi bath tub. (See below). To their credit, they gave us a different type of smaller room as they were just as surprised as us since no properties on the site have hot tubs. The property was big enough you weren’t on top of other guests. WiFi was excellent if that’s what you’re looking for. Disappointed that wine with dinner was an additional charge. Felt pressured to book additional items and reserve tables for dinner. The staff were good in general. The resort very luxurious. The bungalows especially were stunning! !